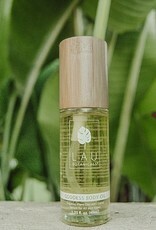 Lau Botanicals - Goddess Body Oil 1.35 fl. oz. 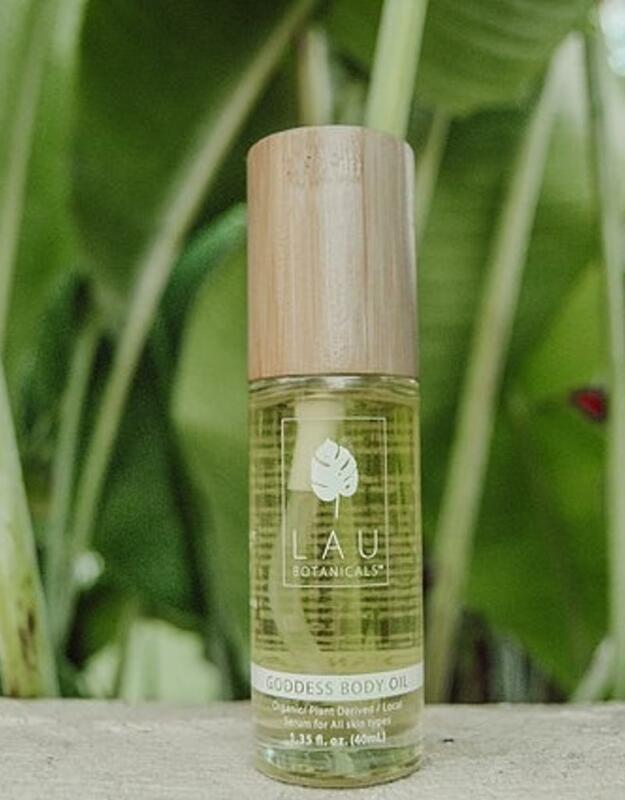 Home / Lau Botanicals - Goddess Body Oil 1.35 fl. oz. An alluring essential oil blend of Hawaiian sandalwood, vetiver, and jasmine. This body oil will tantalize your senses while providing a goddess glow. Unleash your inner goddess. Activated by body heat, each person's individual skin chemistry will unlock the release of their own unique version of this tantalizing scent. A seductive blend of woody, sweet, and musk from Hawaiian sandalwood, vetiver, and jasmine transports you to the Hawaiian Islands, while nourishing your thirsty skin with organic Jojoba oil and wildcrafted Kukui nut oil. Ritual - Apply over damp skin after bathing or showering for a deep, sensual moisture.